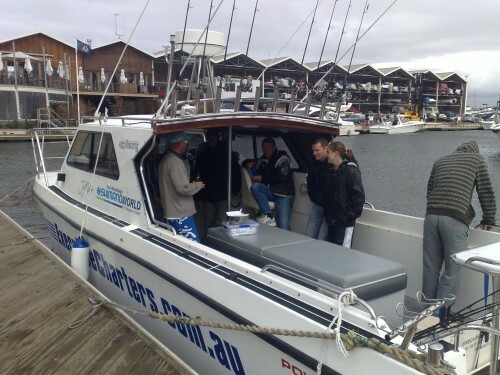 Welcome to Executive Charters where you are treated as an executive for the day while catching fish and enjoying the various attractions of Port Phillip Bay.This tour is also known as our “Around the Bay in a Day” fishing charter. During this tour we have a range of locations to choose from including Carrum, Frankston, Mornington, Mordialloc, Ricketts Point and Black Rock. We may also cover areas including Sorrento, Rye, Portsea, Queenscliff, St Leonard’s, Indented Head and Portarlington. Weather, tide and the time of the year are factored into the choice of location and our main aim is to put you onto the fish! Species targeted on this tour include snapper, pinkies, King George whiting, gummy sharks, squid, cuttle fish, barracouta, and flathead. In addition to enjoying our superfast cat Joy Rider, on the Deluxe Fishing Charter you can enjoy our homemade cheese pastries, dips, crackers, corn chips, olives, carrot cake, fruit salad, mud cake, sausage rolls and gourmet sandwiches. Warm clothes, a jacket and a beanie are recommended for the colder months. Inclusions: Blue Water Fishing, Bait, Tackle, Gourmet Food (including homemade pastries, dips, gourmet sandwiches and mud cake), Soft Drinks (including ginger beer)/Tea/Coffee/Hot Chocolate/Water, sunscreen & bug spray, toilet on board. 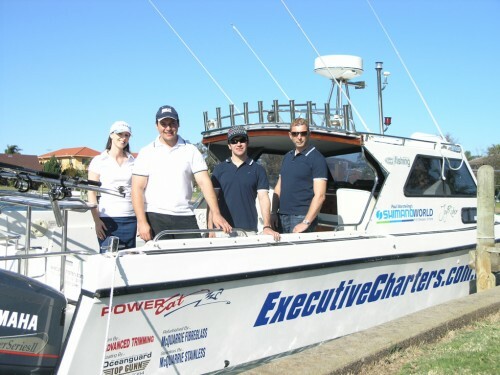 Welcome to Executive Charters where you are treated as an executive for the day while catching fish and seeing the various attractions of Port Phillip Bay. We are a young motivated team who aim to please our clients and give them an experience of a life time. 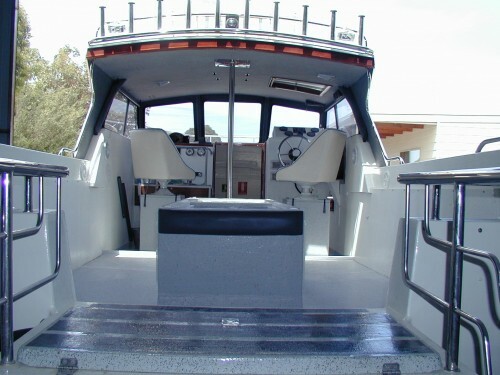 We stand out from the rest due to our ability to provide a full executive fishing charter service with homemade gourmet food and a superfast power cat named Joy Rider, giving you a thrilling ride with more time to fish. We operate from Patterson Lakes and charter all parts of Port Phillip Bay featuring our famous ‘Around The Bay In A Day’ charter. 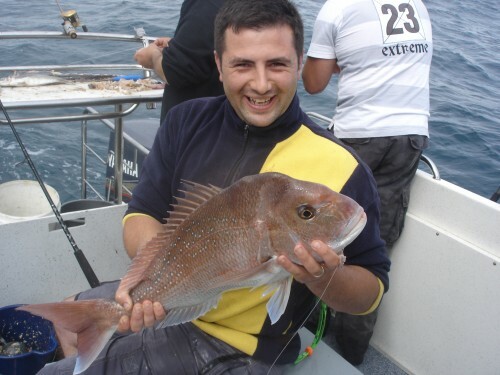 We offer a range of packages to suit your fishing or sightseeing needs. Feel free to contact us and organise your own personalised private charter.We look forward to giving you a very enjoyable and memorable experience.